As an engine creates combustion, some of that pressure escapes into the engine block and head versus leaving through the exhaust system. Therefore, every engine from every manufacturer has a means of letting that pressure leave the engine by routing it back through the intake manifold. 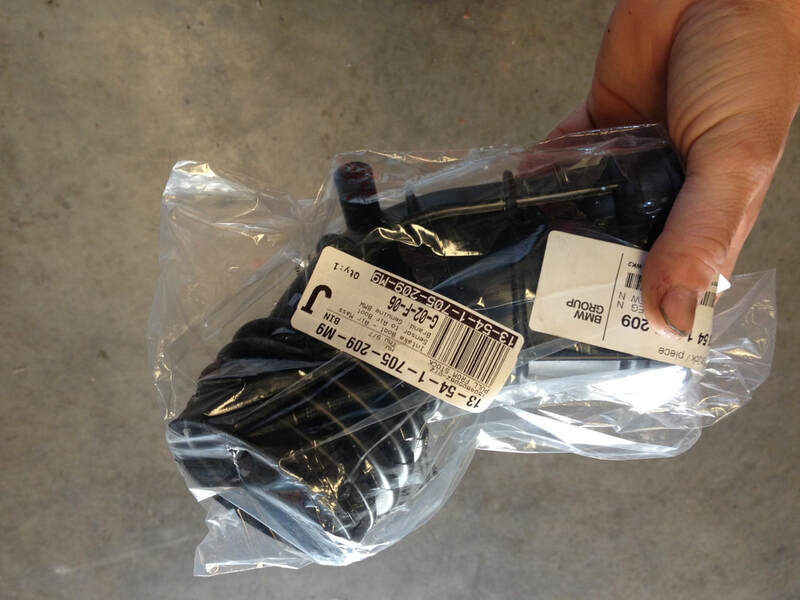 Traditionally it's referred to as the Positive Crankcase Ventilation system or PCV, but newer BMWs usually refer to it as the CCV or Crank Case Ventilation system. ​With emissions policies becoming more and more strict, these CCV systems have become more complex. The pressurized air from the engine brings with it oil vapors, so it's necessary for the system to be able to trap the oil vapor and only allow the air to escape. That oil separation is one of the main functions of the valve.Trying to keep the weight of modern vehicles down results in the these systems typically being made from plastic. The combination of complicated parts made from plastic that can become brittle from age and heat results in systems that usually fail from clogging or developing cracks. ​When the issue is a crack/air leak somewhere in the system, the car's issues usually show up in the form of rough idle, stalling, poor power, and hard cranking. When the issue is a clog in the system, some of those other symptoms can occur along with bad oil consumption, and very bad oil leaks. 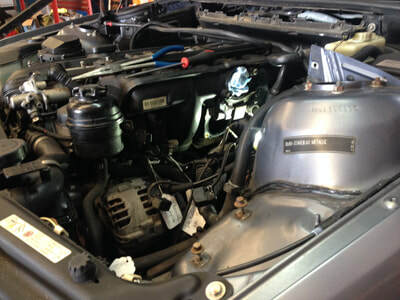 This is due to the pressure not being able to escape in a normal manner, so it forces itself past internal engine seals. 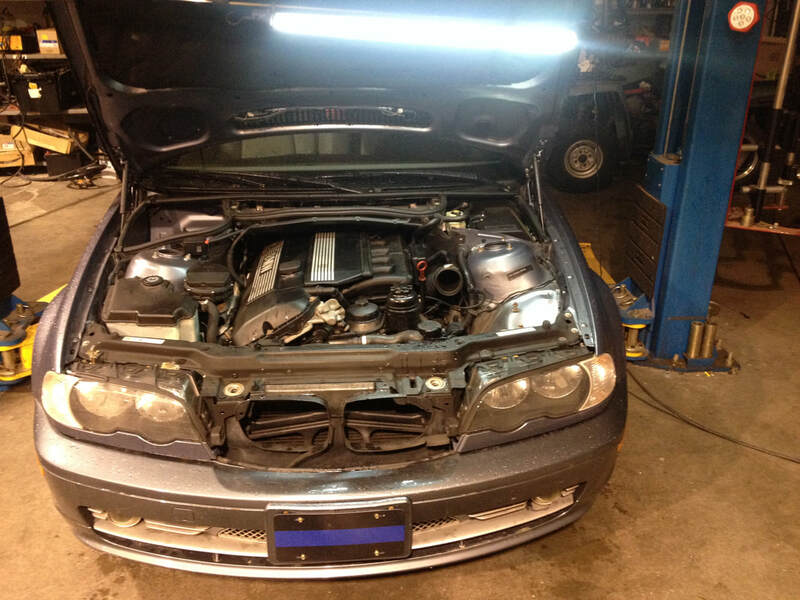 While this issue is common across lots of different modern BMWs, the car being looked at this time is a 2003 325Ci. ​This particular car had an age crack in the line that went from the CCV itself to the dipstick, which resulted in the running issues mentioned above. ​Some of these running issues can also be creating by age cracks in the rubber intake boot that directs air from the air filter box into the engine. Since these boots must be removed to access the CCV system, it's a good idea to go ahead and replace them to if they appear old. The CCV system attaches hoses to several areas for ventilation and recirculation. The system consists of the valve itself, and several hoses routing to things like the dip stick tube (to ventilate the crank case), the cam cover, and the intake manifold. All of these lines become brittle with age, and it's typically required to replace all of them along with the valve itself when doing this job. If they aren't already age cracked it's usually impossible to remove them all without cracking them. 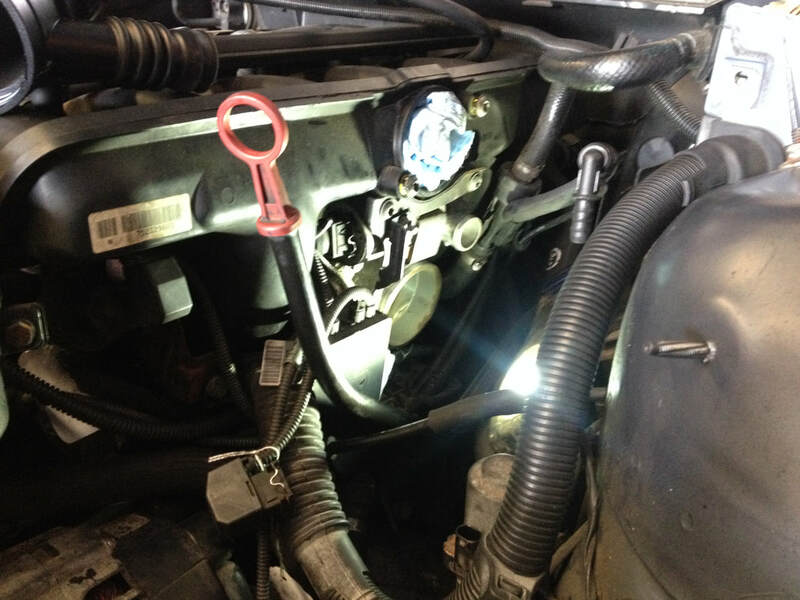 ​The wiring harness junction underneath the throttle body and associated sensors it plugs into. ​Scrolling through the pictures below will give descriptions of the status of the project in each shot. A crack in the line means oil vapor escaped into the surrounding area, and creates a dirty, greasy job. It was hard to snap too many pictures with dirty hands. Here's a video with the breakdown of the removed system and a few other comments. So with the CCV system sealed up properly, and a new air intake boot installed to prevent issues with that in the future, the car is running a lot better. As it relearns the proper fueling parameters it needs the car will also see better gas mileage return along with improved power and drivability. 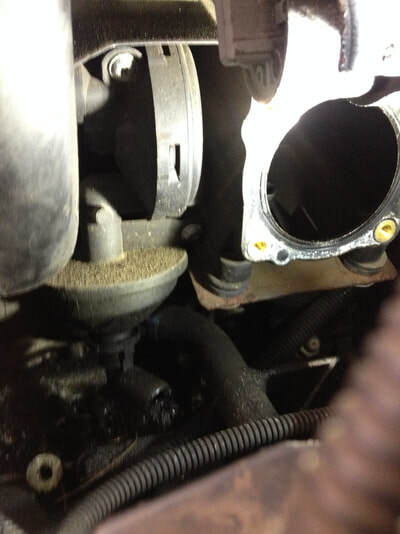 If you think your BMW is suffering from this sort of issues please contact HPMotors to schedule an appointment.